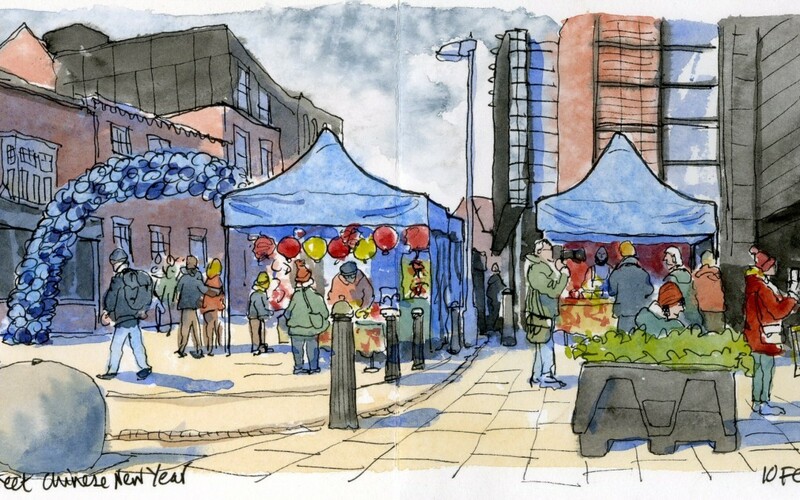 This was drawn whilst out with the Birmingham Urban Sketchers group, at the Chinese New Year celebrations in February 2019. It was cold and people were still setting up as it was early. If you look hard you can just see another sketchers sitting behind the tub with greenery on top! Moving on I squeezed behind the crowds watching musical performances on the sound stage and enjoying the sight of three small children on their Dad’s shoulders decided to have a go at the drawing, keeping the composition a vertical slice to see what happened. I don’t know how it’s going to look until it’s done but I liked doing this one! We all met up later on at The Victoria on Station Street, a very dark building within a shadowy backstreet. It was bitingly cold but this was an irresistible view and three others were having a go at the same time which made it a much more enjoyable experience. 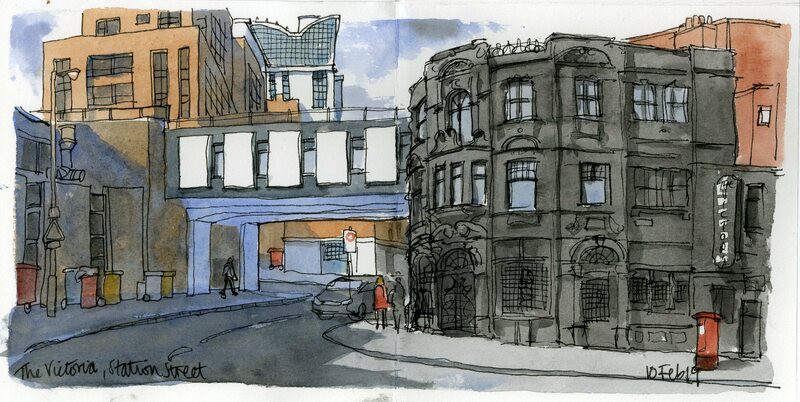 Especially when we all compare sketchbooks over a beer at the end of the day. And on the way home I can’t resist one last drawing. 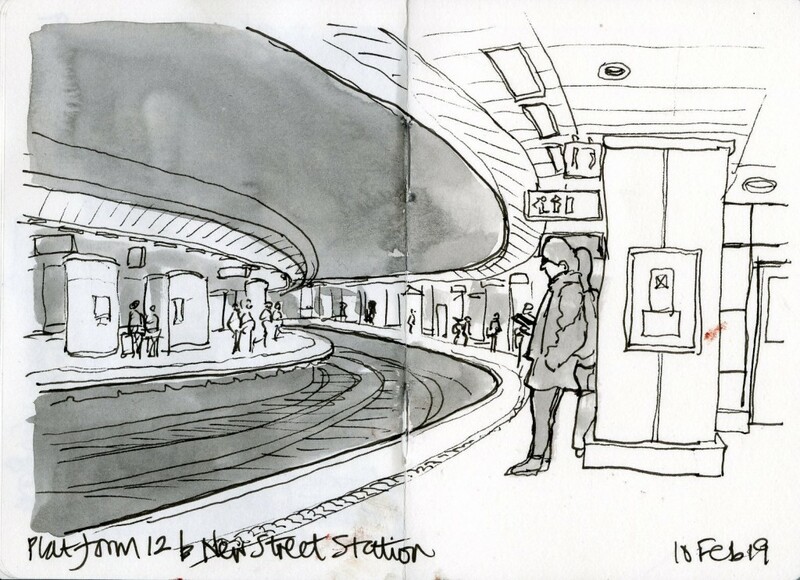 Platform 12b which takes me back to Malvern Link at the end of a fun day with a great bunch of other hardy sketchers!